You know by now that if Death Row Records founder Suge Knight is involved in a story, it's going to be a doozy. Well, we have another Suge story, and this time around, it involves a lawsuit, Apple, and murder. According to sources, Suge Knight filed a $300 million lawsuit against Dr. Dre that claims the Apple Music exec hired a hitman in order to murder Knight. According to the lawsuit, Knight claims that Dre, who was on the record label's roster back in the 90s, agreed to a lifetime management deal with Suge, which entitled Suge to 30 percent of Dre's entertainment earnings. As a result, Suge claims that Dre hired a hitman in order to get out of paying Knight. The lawsuit also alleges that Dre ordered a hit on Suge because he was attempting to cut the former Death Row head honcho out of earnings from Dre's Beats deal from Apple, and that Apple did not want anything to do with Knight. Now comes the interesting part. Knight claims that the hit was supposed to happen on the weekend of the 2014 MTV Video Music Awards; which happens to be the same weekend he was shot multiple times at Chris Brown's party 1OAK nightclub in West Hollywood. Knight eventually recovered from injuries sustained at the nightclub. He also filed a lawsuit against Chris Brown over the shooting earlier this year, claiming that a lack of security at the event led to his shooting. Suge also claims that when he hit two men with his car, in which one man was killed and another was injured, he was simply trying to get away from an ambush. According to Suge, one of those men was trying to murder him. Suge remains in jail awaiting the start of the jury murder trial as a result of killing one of the men he hit with his vehicle. The trial begins in on February 22, 2017. The $300 million amount Suge is asking for is equal to 30 percent of the roughly $1 billion Dre made selling Beats to Apple (before taxes). Dr. Dre's lawyer is pretty confident that Dre won't have to cough up any money though. "Given that Dre has had zero interaction with Suge since leaving Death Row Records in 1996, we hope that Suge's lawyer has lots of malicious prosecution insurance," said Dre's lawyer. Suge Knight Allegedly Tried To Have Eminem Killed On Numerous Occasions! 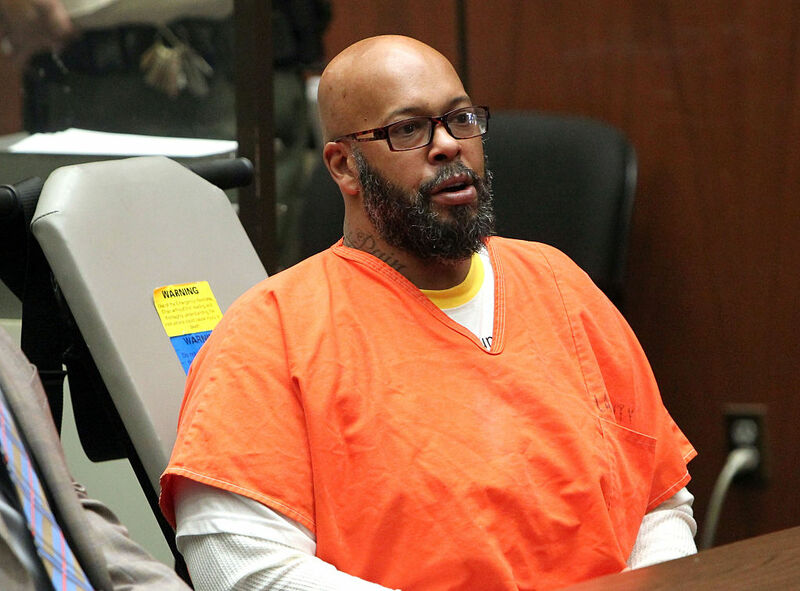 Read the details behind Suge Knight and his thwarted plans to kill Eminem in the past. Suge Knight is a fascinating and polarizing figure who has risen to the absolute peak of success to the very depths of failure and trouble. This is the story of his rise and fall.